Liberty will verify your applicant's dates of attendance and diploma or degree earned from the institutions provided. 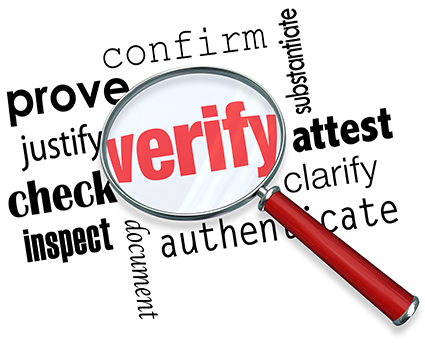 Verification of education credentials is a vital step in the screening process. Statistics provided by human resource executives show that more than half of the resumes they receive contain exaggerated or even fraudulent information. Liberty will verify your applicant's past employment, dates of employment, last position held, reason for leaving and eligibility for rehire. Previous employment verification should be the cornerstone of any good screening program. Statistics provided by human resource executives, show that more than half of the resumes they receive contain exaggerated or even fraudulent information. Liberty will verify your applicant's professional license status with the applicable state licensing board. The following items are provided in this search: License number, designation status, expiration date and any grievances found. An employee with erroneous credentials has the potential to destroy your company's image, credibility and future. Liberty will contact the applicant's professional references to determine work ethics, attitudes and level of job knowledge as viewed by co-workers. Report on each candidate to include a custom script tailored to provide information that will help establish a profile of the applicant's personality, reputation and character. Professional reference verifications on potential employees help to assure you of the quality of the individual and their skills. This information allows for a smoother fit with your existing staff by eliminating the need to train for a particular skill-set you believed the individual already possessed. Liberty will provide a DOT-compliant verification of any specified level of an applicant's three-year employment history. Information returned can include: date of employment, job title, salary, reason for leaving, eligibility for rehire, and overall job performance. Liberty also will obtain drug and alcohol testing histories from past employer(s).